Treelines are fairly abrupt vegetation boundaries that have kept researchers intrigued for decades. A lot of work has gone into answering questions like “Why do trees stop growing at certain elevations?” The consensus is that the temperature during the growing season is crucial in determining the location of many treelines around the world. Once you get too high up the mountain, there is simply not enough warmth for trees to grow. Why do the treeline elevations differ between regions? In the late 1800’s, explorers already noticed that treelines in the Northern Hemisphere formed at much higher elevations than in the Southern Hemisphere. For example, treelines in many parts of the European Alps occur at well over 2000m elevation, but at similar latitudes in the Southern Hemisphere, you’ll find the highest trees at 1500m or lower. The very few temperature records that were available for different treelines suggested that it was also warmer at the treelines in the Southern Hemisphere. To explain this, people proposed that the southern treelines are formed by species from the local flora that either didn’t have the right genes or didn’t have the time to evolve into cold-hardy alpine trees. In a recently published study, we wanted to test whether the temperature during the growing season differed between treelines in the Northern and Southern Hemisphere. Cieraad E, McGlone MS, Huntley B 2014. Southern Hemisphere temperate tree lines are not climatically depressed. We measured soil and air temperatures at six New Zealand treeline sites for more than 2 years, and compared this with data collected by others at treelines around the world. This study provides, for the first time, a comprehensive analysis of temperatures experienced at multiple treeline sites in New Zealand, and compares this with data collected at treeline sites all over the world. Whilst they are found at lower elevations, New Zealand treelines form at temperatures similar to those at Northern Hemisphere temperate treelines. So, contrary to long-held beliefs, our data shows that New Zealand treelines are not anomalously warm compared to treelines elsewhere. Other researchers have recently shown that the same is true in Patagonia and Chile. Together these results show that the many tree species that form the treeline in the Southern Hemisphere are not wimps, but that they can grow up to a similar temperature limit as their counterparts up north; it just happens that they encounter that temperature at a lower elevation on the mountains. So, the difference in treeline elevation between the Hemispheres can simply be explained by the fact that, at similar latitudes, summers in the Southern Hemisphere are cooler than those in the Northern Hemisphere because of to the oceanic influence on the relatively small landmasses, compared with the more intense heating of the large northern landmasses. 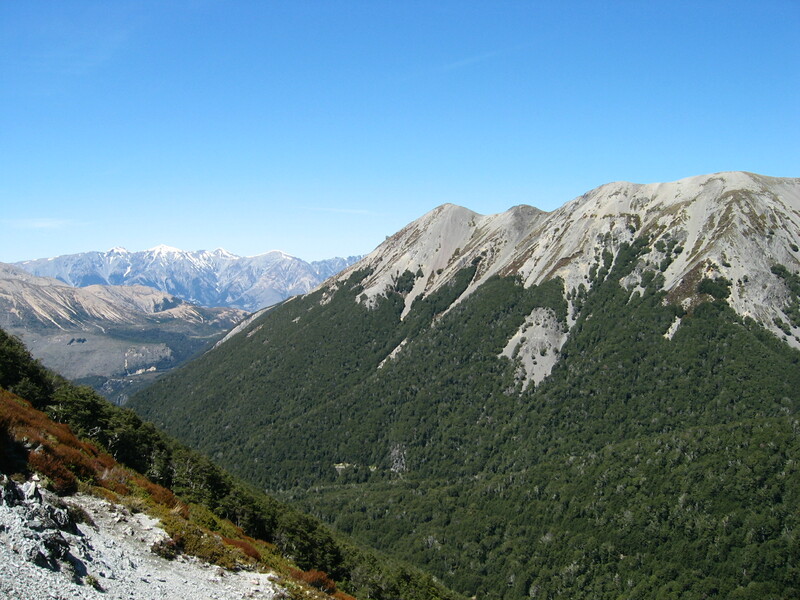 The study has implications for modelling of vegetation communities (temperature correlations of the altitudinal limits of forest types), invasion ecology (projection for invading naturalised tree species above indigenous treelines) and the understanding of evolution of tree species in New Zealand and the Southern Hemisphere. Categories: Research update | Tags: New Zealand, Southern Hemisphere, temperature, treeline | Permalink. Yes, this is very interesting .i have done study’s in adaptation how and how quickly can they really adapt if pushed to the limit.